Three bands—The New Yorks, STORK and (the headliners) Lepers & Crooks—took to the stage last night at the Ed Castle (the Edinburgh Castle Hotel), producing one of the best live gigs I’ve seen in a while. The crowds seemed to ebb and flow throughout the night but the vibe was always chilled and a pint was always in hand. Kicking off the night was an Adelaide local, The New Yorks. With their stylishly messy hair and skinny jeans, they got the crowds moving with an undeniable indie rock charm. San Cisco, the Arctic Monkeys and The Strokes were clearly some big influences for The New Yorks, with Vinnie (lead vocals) truly taking on the persona of an Australian Alex Turner. Marcus changed it up on rhythm guitar, offering some psychedelic sounds that made the band a little more fun and laidback, whereas Jared was one of the strongest drummers of the night. Shout out to Carlos on bass guitar, who pulled out some groovy shuffling moves while on stage (don’t think we didn’t notice). Next up were the boys from STORK. All I can say is that these guys did not stand still for one moment in their entire performance, and I highly doubt the crowd was complaining. Despite the band being less than a year old, songs such as ‘No Wave No Babes’, ‘Best Friend’ and ‘Maggie is a Jack Russel’ were true crowd pleasers. Who knew their punk/surf/garage rock tunes about West End cans would have encouraged the moshing that erupted? Either way, their luscious surfer locks, hilarious lyrics and love for beer got the crowd hyped, a little drunk and buzzing with anticipation for the night’s headliner. All the way from Sydney was Lepers & Crooks, providing the audience with a taste of their new EP, The Heathen Circus. 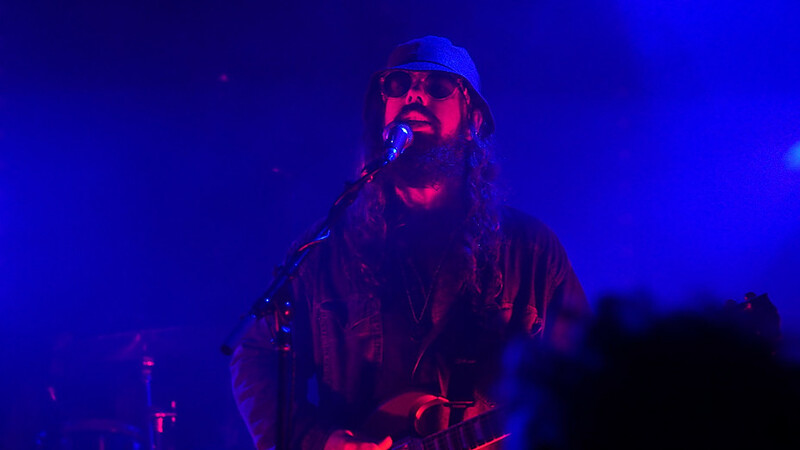 Although the band finds its foundation on classic rock and psychedelic sounds, their blend of contemporary modern twangs made them an intriguing and entertaining performance. Sam (on vocals) demanded energy onstage, beckoning and challenging the crowd to meet his level of eccentricity. Having a strange sound you couldn’t pigeonhole, Sam would spit quick lyrics, then scream with a drunken swagger of a rock star. Accompanying vocalist was Pat, who offered deeper, darker contrasts to their sound. Overall, it was a successful night of beer-drinking, extravagance and complete musical honesty which keeps the crowds coming back again and again.